Every Tuesday I post a work of art I love priced under $10K to support emerging artists and young galleries. 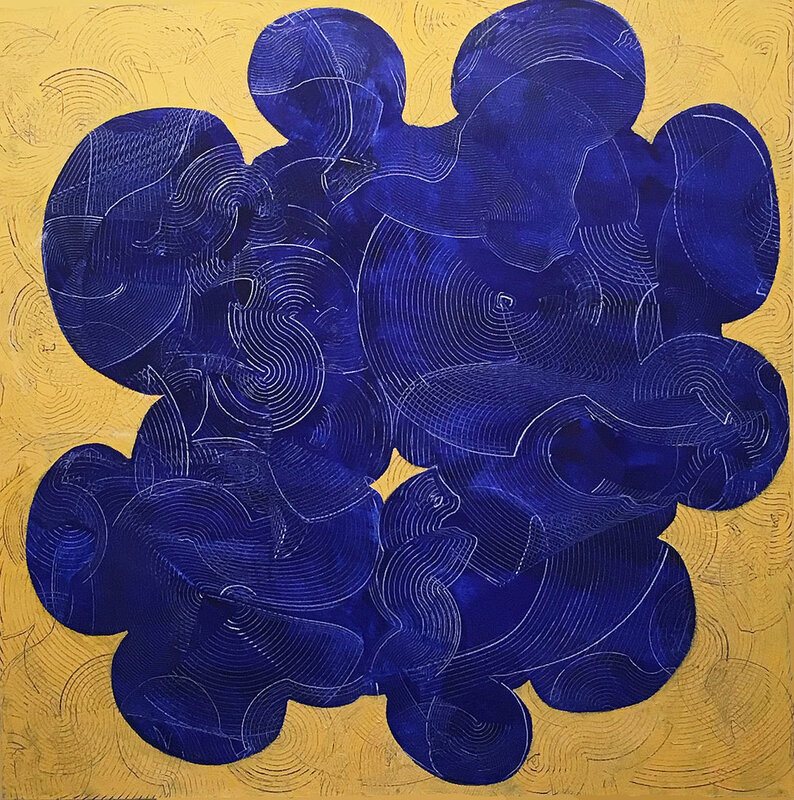 This week: referencing natural patterns as small as molecules and as large as constellations, Andra Samelson traces the patterns of the universe in her beautiful works on canvas. I love how this piece uses the blue and gold palette of Medieval religious paintings — what is more mysterious and powerful than the systems of the universe? Every Tuesday I post a work of art I love priced under $10K to support emerging artists and young galleries. This week: I love this abstract geometric work by Rachel Hellmann — they’re unique painted work on paper at a price point that would let you do a great set of three for under $10,000! Every Tuesday I post a work of art I love priced under $10K. 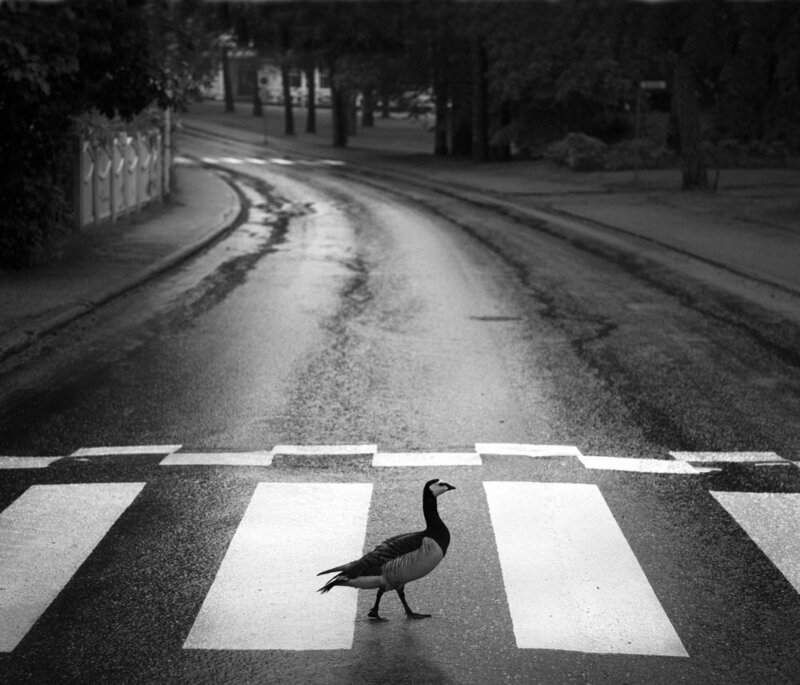 Usually my aim is to support emerging artists and young galleries, but Pentti Sammallahti’s work doesn’t fit into either of those categories. 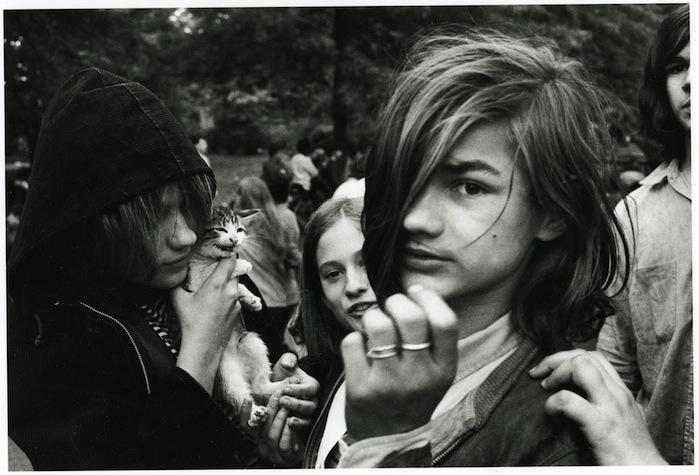 He is, in fact, in his late 60s and one of the leading Finnish photographers. However, he keeps his work — usually calm images with often incongruous but not at all cutesy animals — purposefully affordable. I don’t know if that’s reflective of Finnish social welfare or a self-effacing artist, but it makes these beautiful and quietly surprising photographs highly collectible! Every Tuesday I post a work of art I love priced under $10K to support emerging artists and young galleries. 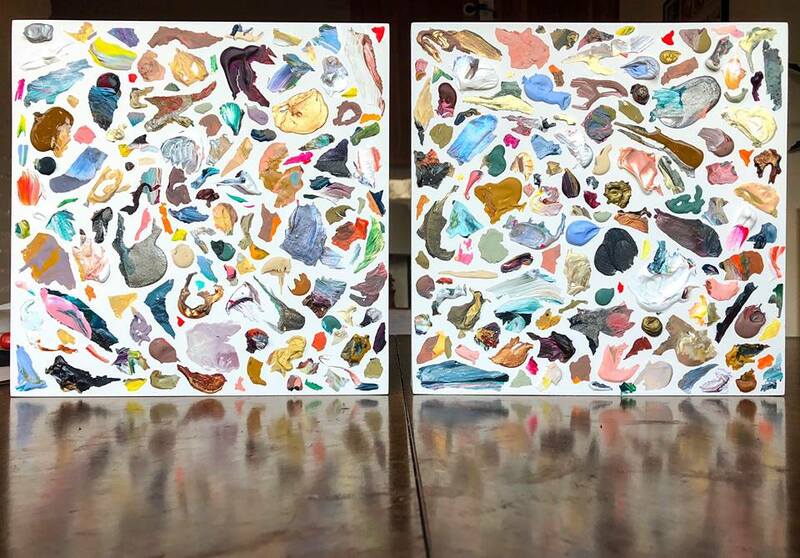 This week: I am charmed by these weird little canvases by David Surman. I think they would look great in a group, so please let me know if you would like to see more! Every Tuesday I post a work of art I love priced under $10K to support emerging artists and young galleries. This week: I saw this work by BD Graft in the Uprise Art booth at Art on Paper earlier this month, and I thought it was sweet and fresh and would look great either solo or in a group! Every Tuesday I post a work of art I love priced under $10K to support emerging artists and young galleries. 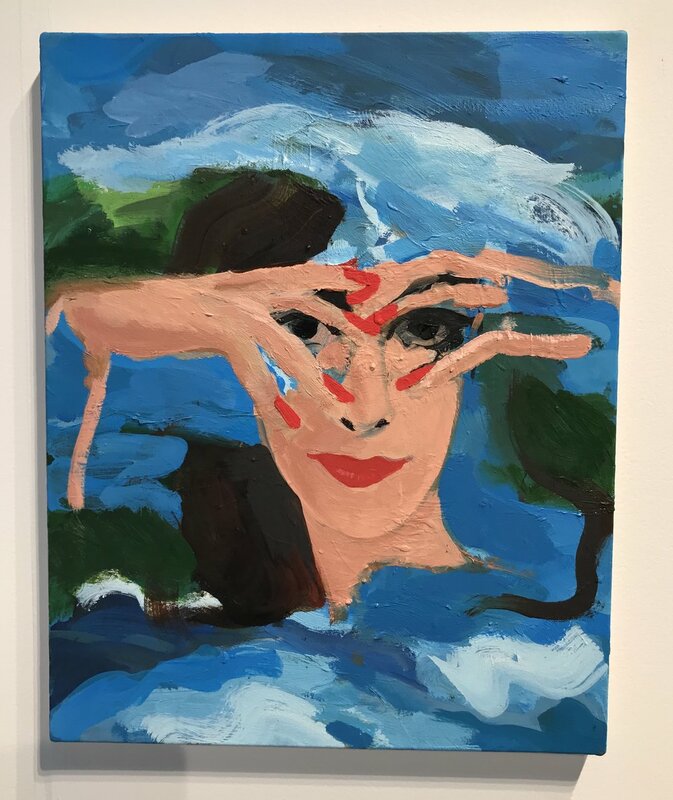 This week: I saw these quirky portraits by Becky Kolsrud in the young gallery section of the Armory Show last week (exhibited by the Tif Sigfrids Gallery of Athens, Georgia), and they’ve really stuck with me. Watery and a little mysterious, I keep circling back to them, and I love how installed as a group, they invite comparison. Every Tuesday I post a work of art I love priced under $10K to support emerging artists and young galleries. 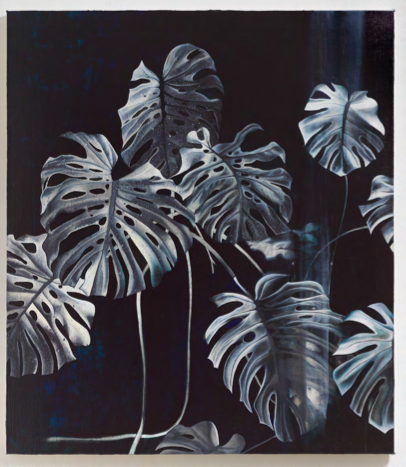 This week: I am so intrigued by Marcela Flórido’s work — there’s something about these obscured images that makes me unable to look away — and who doesn’t love a good philodendron picture? 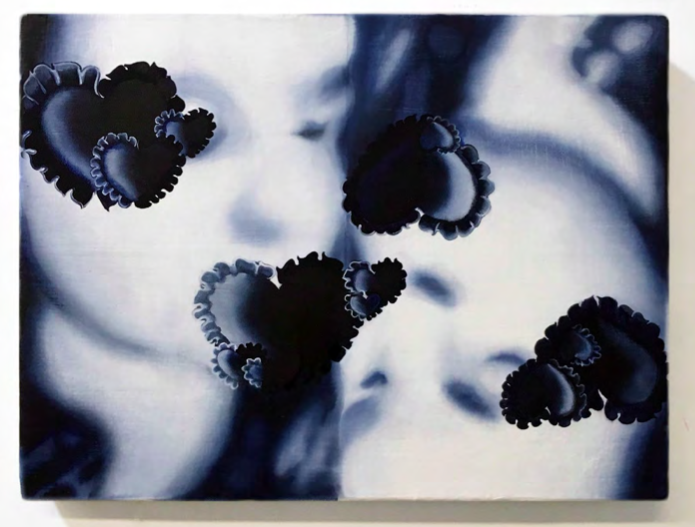 On view now at Kristen Lorello Gallery! Every Tuesday I post a work of art I love priced under $10K to support emerging (or, in this case, less well known) artists and young galleries. This week: I am thrilled Sasha Wolf introduced me to Paul McDonough’s photography. I love these glimpses into the gritty world of 1960/70s New York. As portraits, they are intimate and expressive — the kind of picture you have an ongoing relationship with. My parents met in 1973, so on a personal note, I feel like these are a view into the time and place of their new romance. McDonough is getting on in years, but he’s still involved in printing and signs each piece. 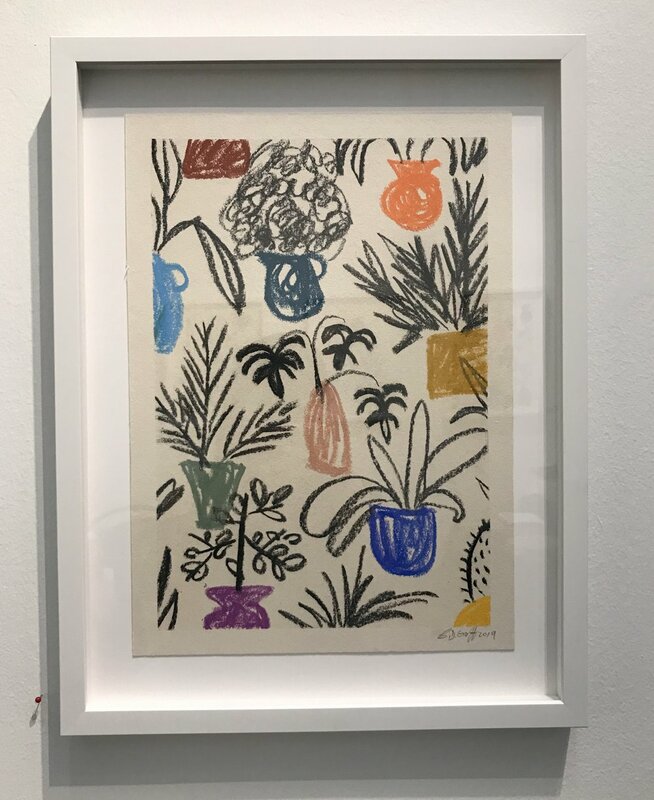 Every Tuesday I post a work of art I love priced under $10K — usually my aim is to support emerging artists and young galleries, but this week I wanted to share a piece from an amazing print show at Luhring Augustine. 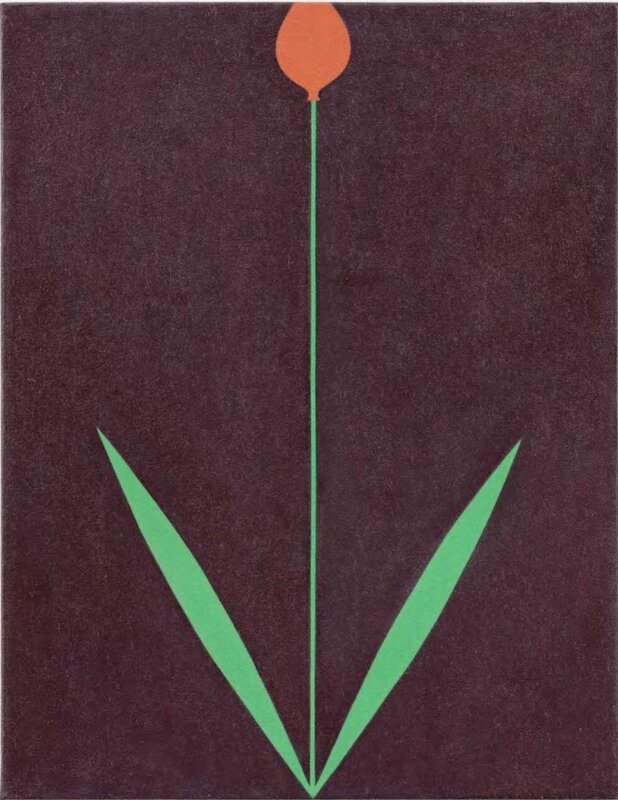 There are a few affordably priced pieces in this show, but this one by Phillip Taaffe is my fav! Tuesday under Ten will be taking a pause next week, but will return on the 26th! Every Tuesday I post a work of art I love priced under $10K to support emerging artists and young galleries. 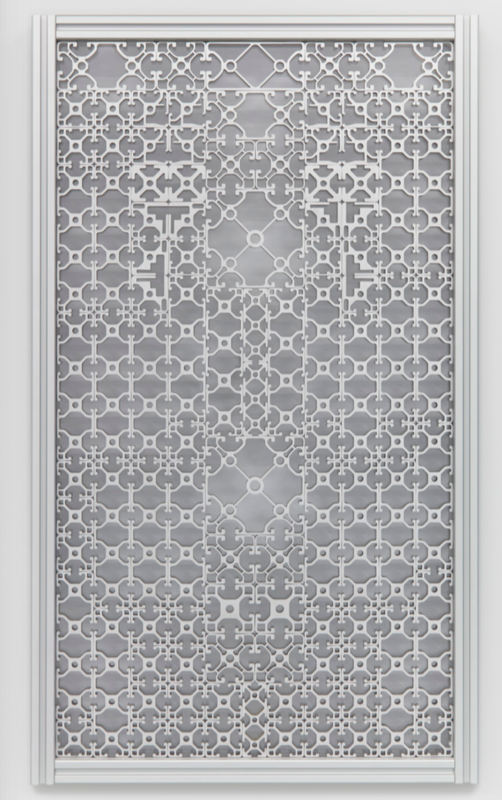 This week: Love these glass and aluminum wall panels by Hans-Christian Lotz — part of the current show at David Lewis Gallery. Every Tuesday I post a work of art I love priced under $10K to support emerging artists and young galleries. This week: Katherine Duclos’ new canvases are unbelievably good. 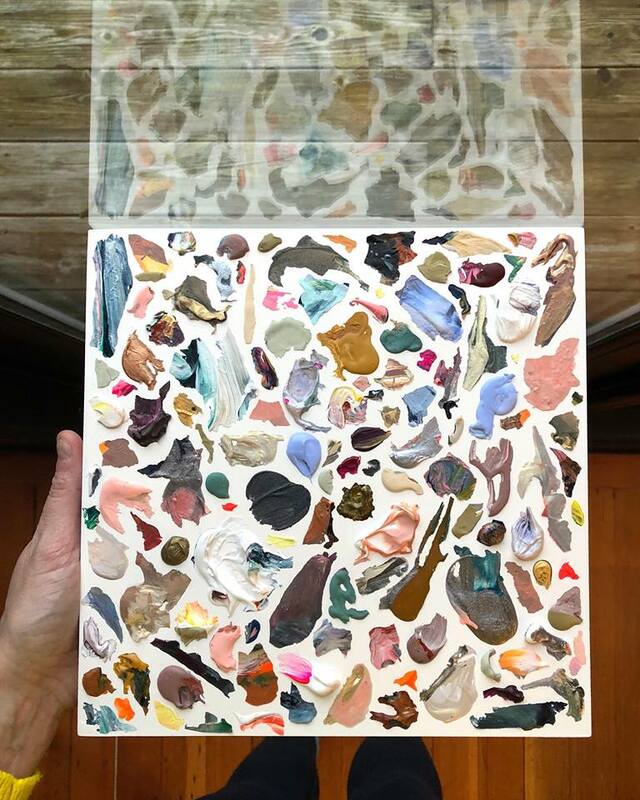 In an exploration of her own artist materials, she is composing paintings from the collected scraps of previous work. They’re going to be featured in an upcoming show in British Columbia, so if you’re interested in grabbing one before they’re on view, please get in touch! Every Tuesday I post a work of art I love priced under $10K to support emerging artists and young galleries. 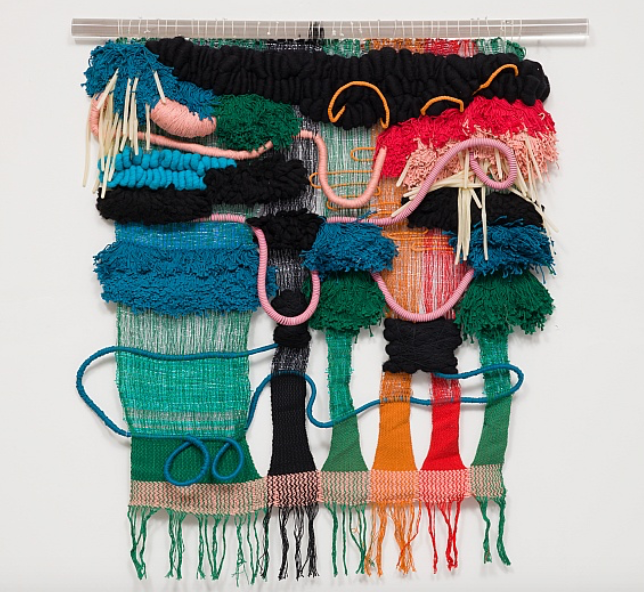 This week: Open now at The Newsstand Project in Los Angeles — a gallery that exhibits emerging artists — is a fantastic show of woven wall hangings by Desire Rebecca Moheb-Zandi. I’m absolutely mad for these! Every Tuesday I post a work of art I love priced under $10K: The Wyatt Kahn show that opened at Xavier Hufkens in Brussels in this week is super cool, and the three editioned pieces included are great buys at under $10,000 — particularly because The Whitney picked up one of each! If you’re interested, please get in touch. Every Tuesday I post a work of art I love priced under $10K. 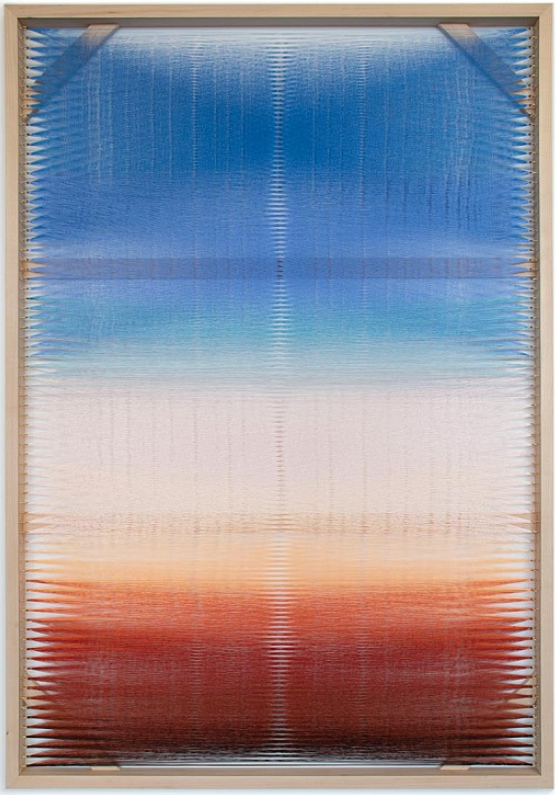 This week: I am IN LOVE with Rachel Mica Weiss’s work, and these woven color gradient screens pop right on the wall! Every Tuesday I post a work of art I love priced under $10K. Here are a few of my favorites from this 2018! Every Tuesday I post a work of art I love priced under $10K. This week: The Klotz Gallery holiday sale is always a favorite! There’s tons of work under $10,000, and even some in the under $100 category! Great for black and white gallery walls or a quirky holiday present. I love this one by Herb Ritts! Every Tuesday I post a work of art I love priced under $10K. 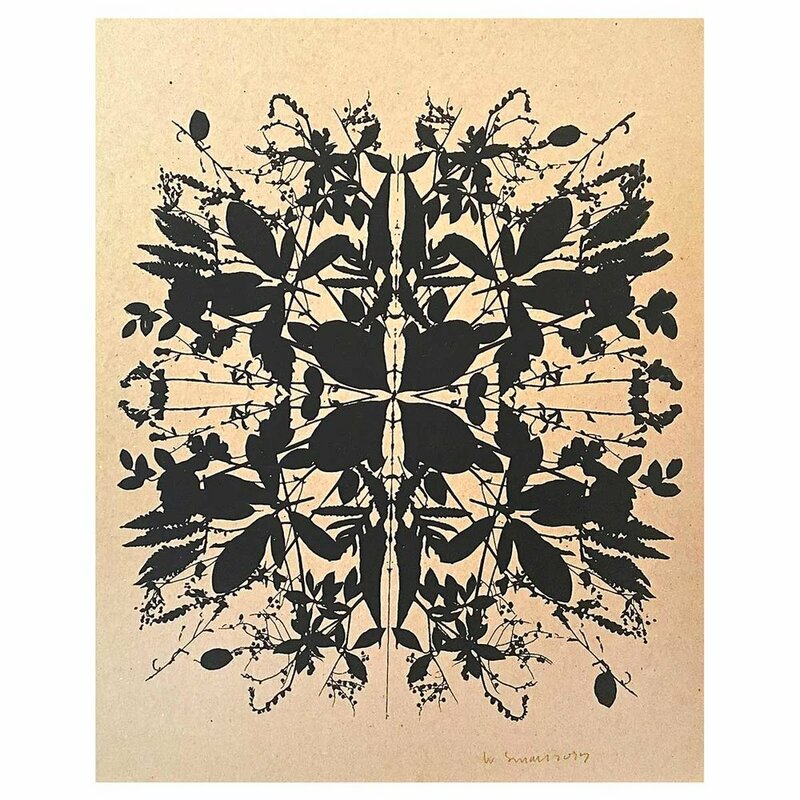 This week: master of arrangement, Wendy Small usually presents her floral and ephemeral compositions as photograms, but these silkscreens are LOVELY and available at a giftable price (under $100)! They can be found on the Russell Janis website. Every Tuesday I post a work of art I love priced under $10K. This week: The first week of December, the New York art world heads south to Miami to enjoy warm weather (though I feel like it’s often pouring), South Beach festivities (and horrendous traffic on Collins Avenue), and a flurry of art fairs and events (can you tell I’m over it?). Although the prices at the main fair — Art Basel Miami Beach — tend toward blue chip, there are a heaping handful of satellite fairs with plenty of material at lower price points. Even some under $10,000, including this cutie by Alice Tippit that Nicelle Beauchene will be exhibiting at NADA. Every Tuesday I post a work of art I love priced under $10K. 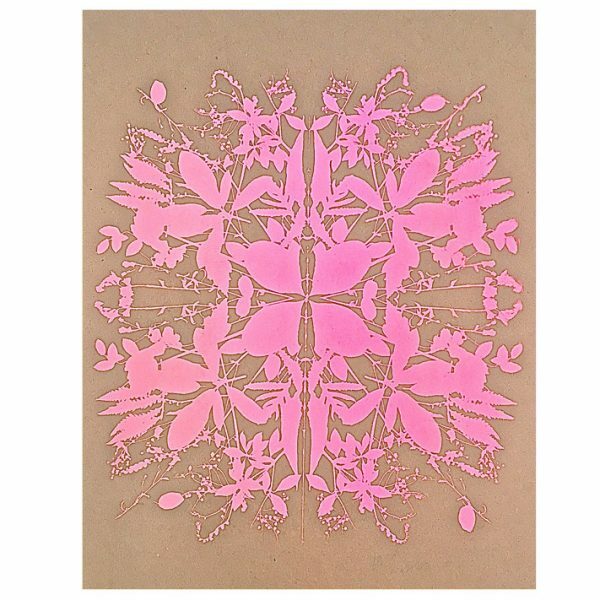 This week: The Fountain House Gallery benefit auction hosted by Artsy has tons of great material, and it looks like the bidding for everything starts under $10,000. I love this piece by Bradley Wood! In case you’re not familiar, Fountain House provides an environment for artists living with mental illness to make and exhibit their work. 7 days left to bid! Every Tuesday I post a work of art I love priced under $10K. This week: I am completely enchanted by Adriana Picker’s work! How sweet are these? And, p.s., she does murals! I feel that I utterly failed in my execution of a baby girl nursery — Need a redo!